Join us in prayer and partnership, and to help spread the word in your congregation. You can find additional resources for worship here. We invite you to stand by all the communities impacted by the recent hurricanes. Your gifts to Hurricane Relief ensure that our church will be able to provide help and hope for those affected by this disaster for years to come. Write “Hurricane Response” on your check memo line. Like Lutheran Disaster Response on Facebook. 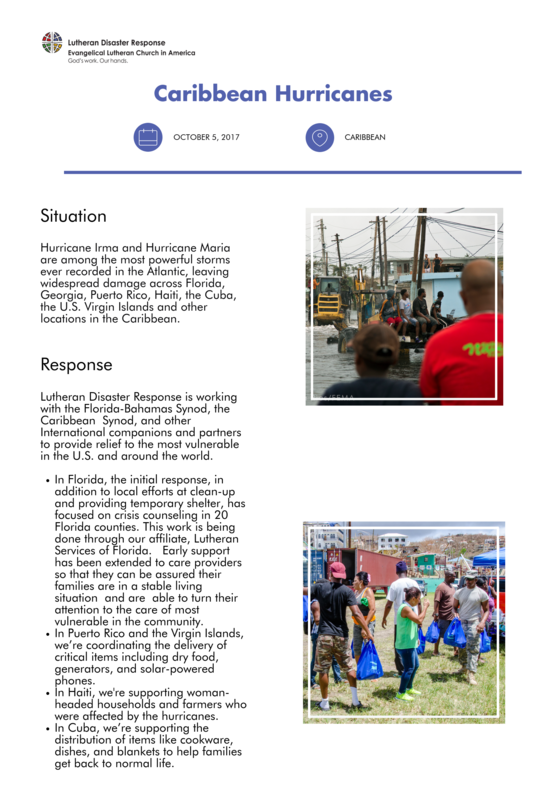 The post Update: Caribbean Hurricanes appeared first on Lutheran Disaster Response.